Thayir Vada or Dahi Vada is a classic Indian recipe. Soft lentil dumplings are dunked in a creamy whipped yogurt, then topped with spice powders and finally garnished with coriander leaves and Sev. This can be served as breakfast side-dish or Party appetizer or Evening snack. Its is easy to make and definitely addictive. Don't miss the notes column (below the recipe) for tips and garnishing variations. I thank my cousin Sowmiya for deciding to prepare this recipe. 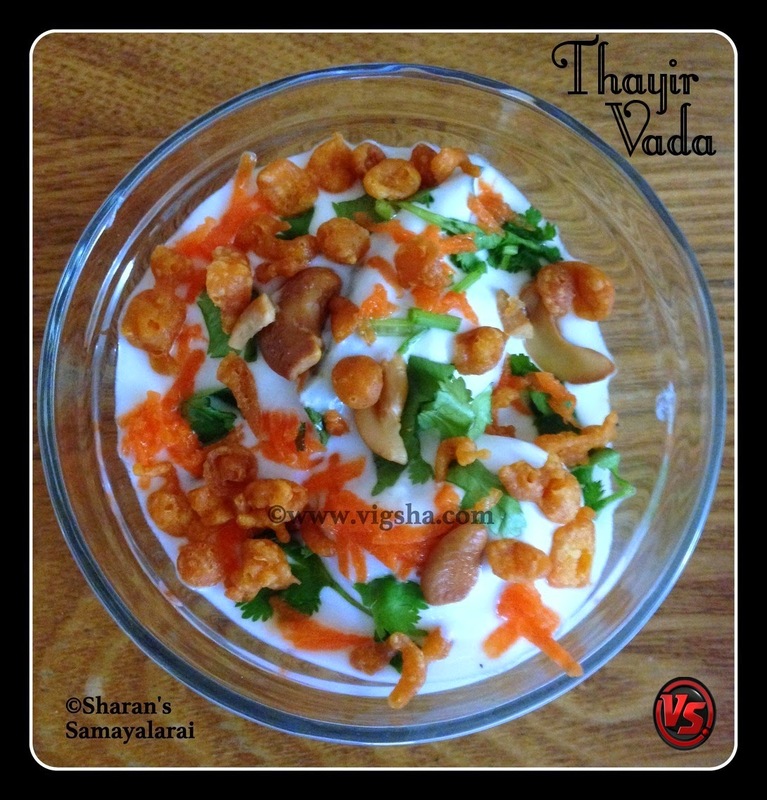 We followed Venkatesh bhat's recipe and it came out really good, so decided to post it here. Here goes the recipe from Sowmiya's Kitchen..
1). Rinse and soak urad dal in water for 3-4 hours or overnight and grind it to a smooth fluffy batter by sprinkling little cold water. Transfer the batter to a wide bowl, add salt and hing. Mix well and briskly beat the batter until it turns fluffy and light, for at-least 4-5 minutes. 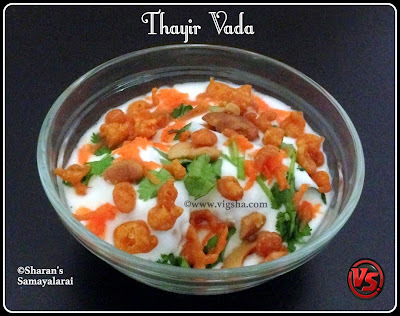 This helps to get a softer and porous vadas. 2). In a medium flame, heat oil in a wide pan for frying. Take a little batter, either shape into vada with a hole in the center or gently drop a lemon sized quantity of batter in the oil. Drop 5-6 balls at a time. Deep fry them until crispy and turns light golden brown. Drain it on a paper towel and let it cool till it comes to room temperature. 3). 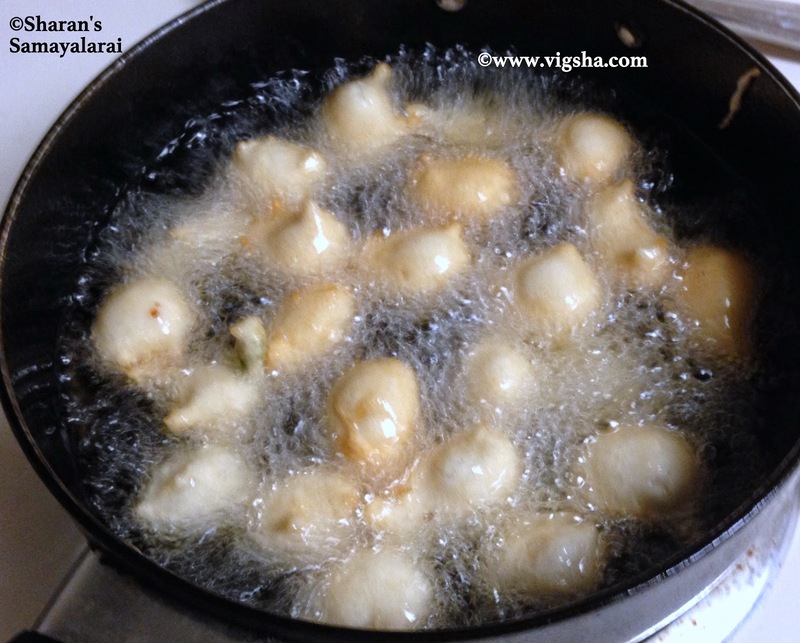 Take a wide bowl (check notes (iv) ) and soak the vadas in water for 5 minutes to make them soft and spongy. After soaking the vadas size will have increased and the color will become pale. Press each soaked vada gently between your palms so that excess water oozes out. Keep aside. 4). 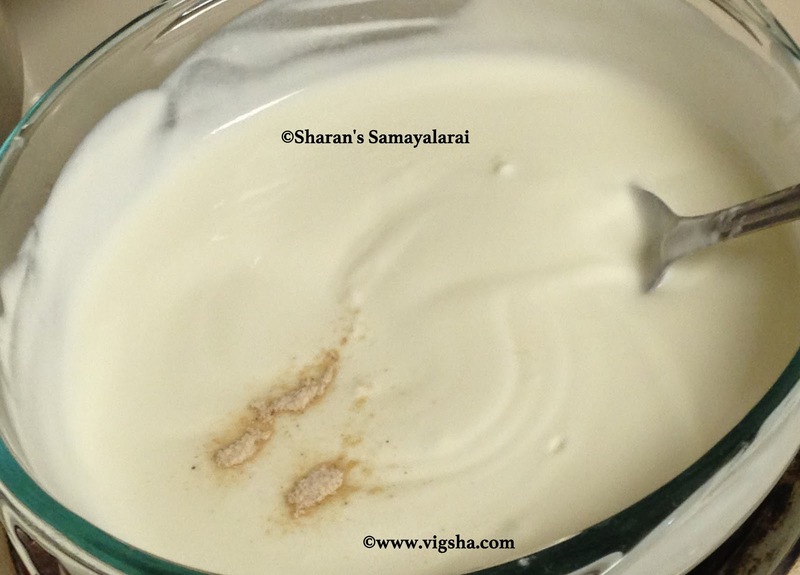 In a mixing bowl whisk the fresh curd till creamy. 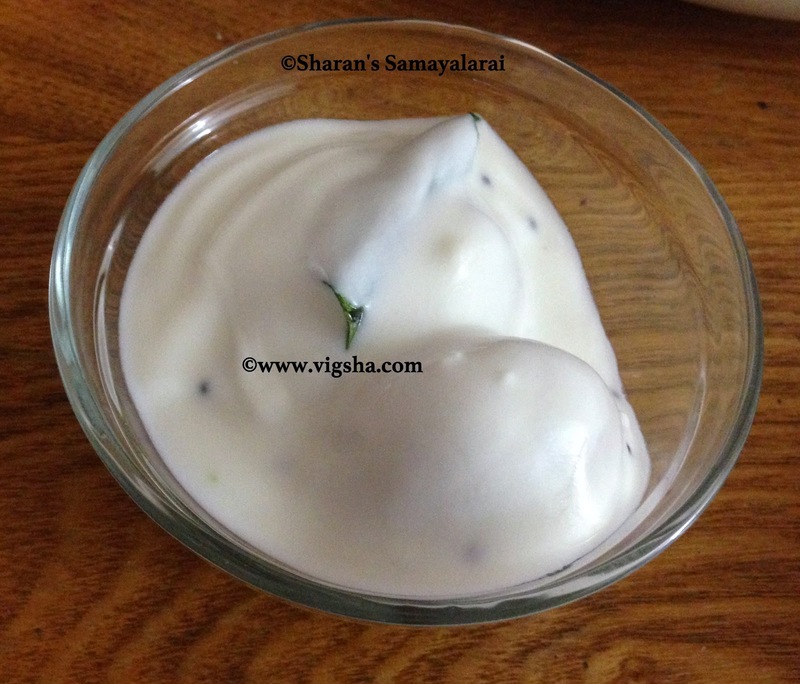 Click this link for preparing homemade Curd. Beat the curd along with salt, sugar and hing. Heat oil in a pan, add mustard and cumin, let it splutter. 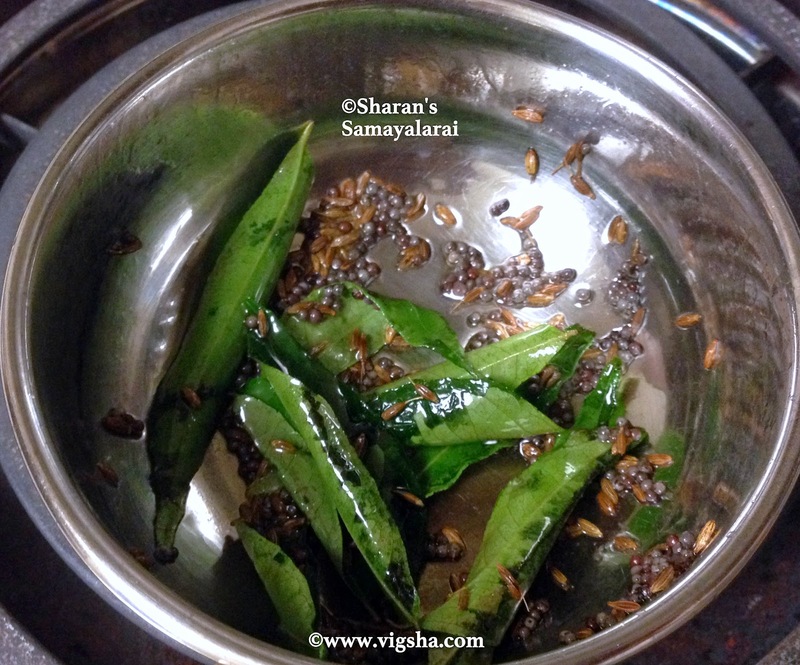 Then add curry leaves and saute till aromatic. Switch off and pour this on beaten curd. Add finely chopped green chillies and ginger, combine everything together. 5). 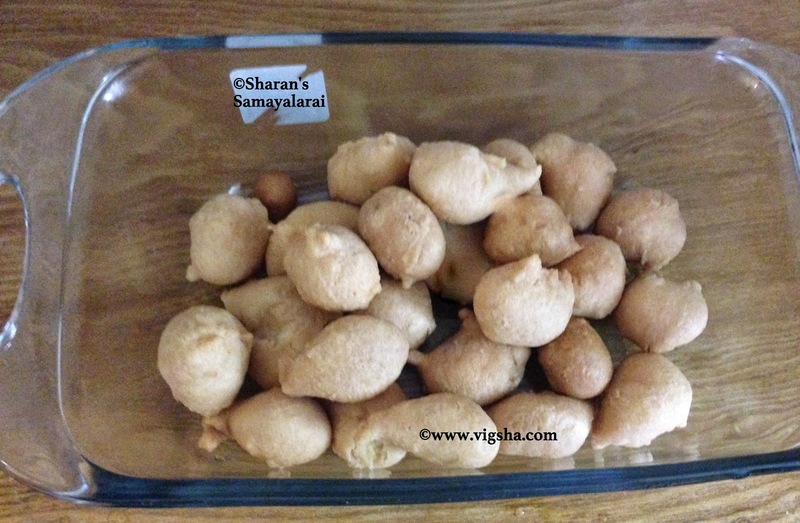 Arrange the soaked vadas in a plate or serving bowl. Pour the beaten curd mixture generously over the vadas. 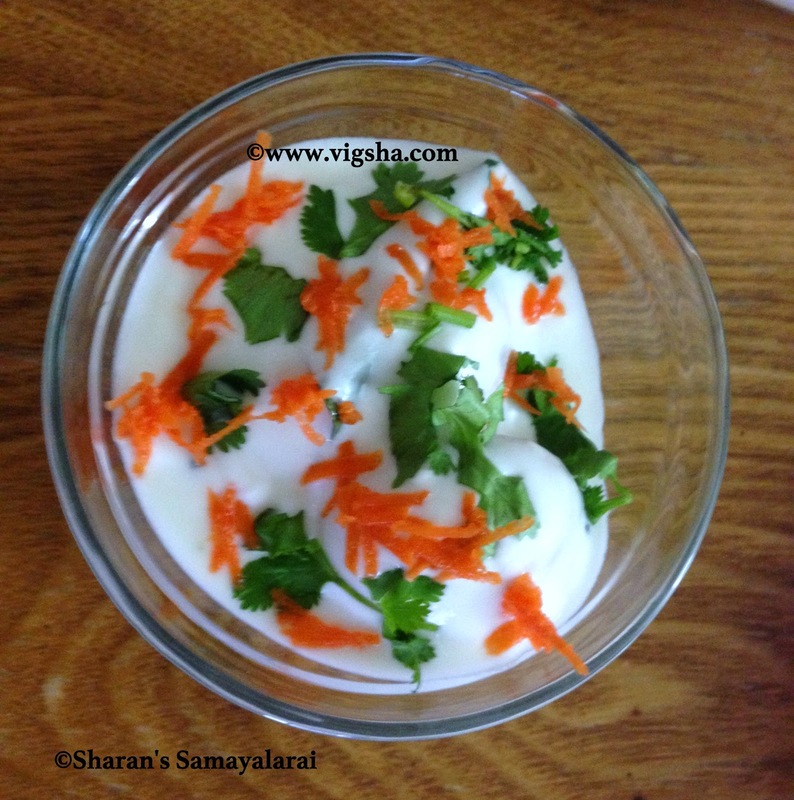 Top it with grated carrots, coriander leaves and kara boondi. Finally sprinkle roasted cumin powder, it tastes best when served chilled! I have done typical south-Indian garnishing. Check notes for more garnishing options. 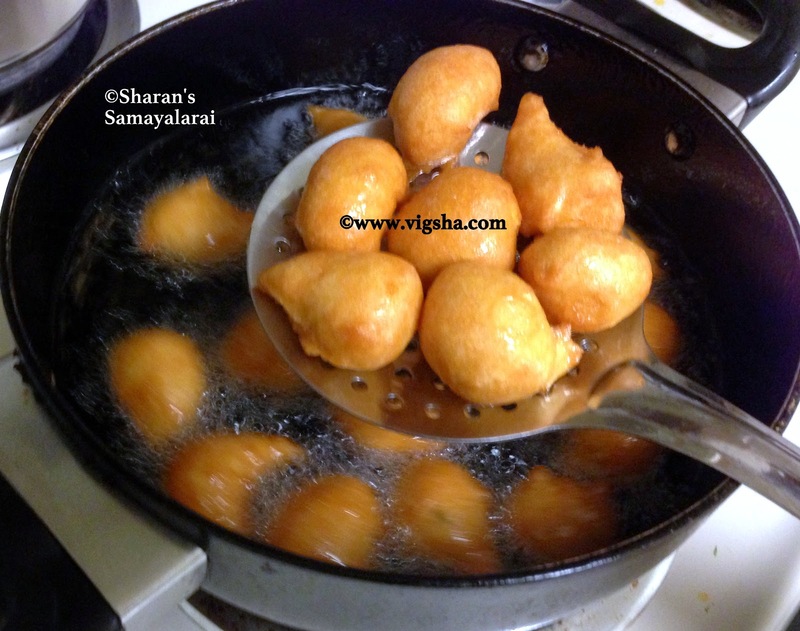 (i) The consistency of the batter is very important for making this vada. Do not add too much water while grinding otherwise batter will turn watery and will consume more oil. (ii) Grind it in a grinder than mixie as grinder will need only little water for grinding. 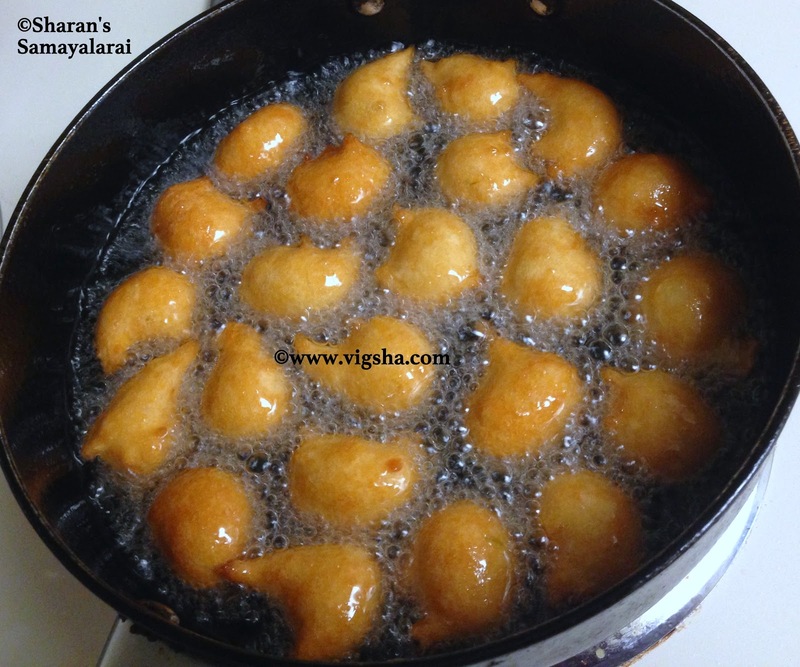 Always use freshly grounded batter than refrigerated batter for making the vadas. (iii) After beating the batter, you can also add chopped cashews and raisins to the batter. 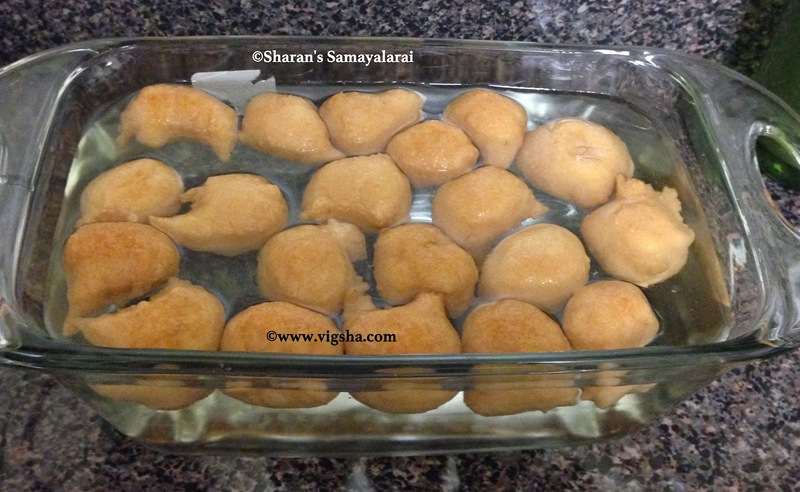 (iv) While soaking, make sure to choose a wide bowl so that the vadas will have space to expand. 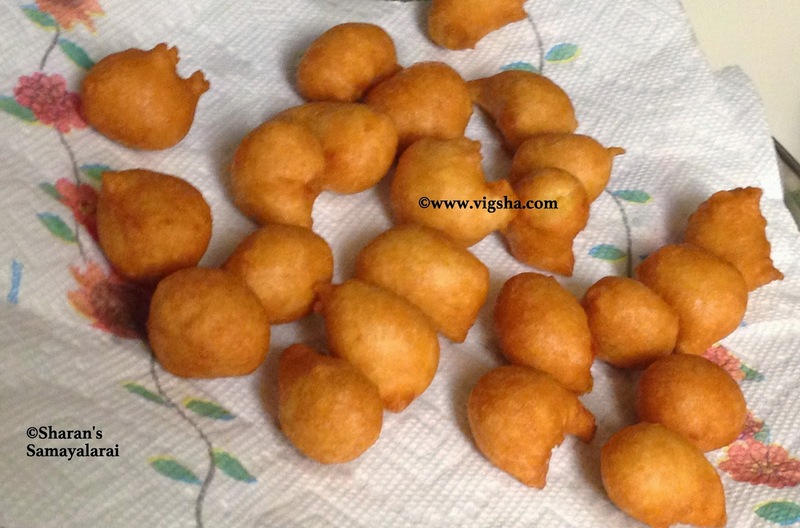 Make sure that the vadas are fully submerged in water. This will make them softer. (v) Make sure to use sour less curd. Use only fresh and thick curd for good taste. 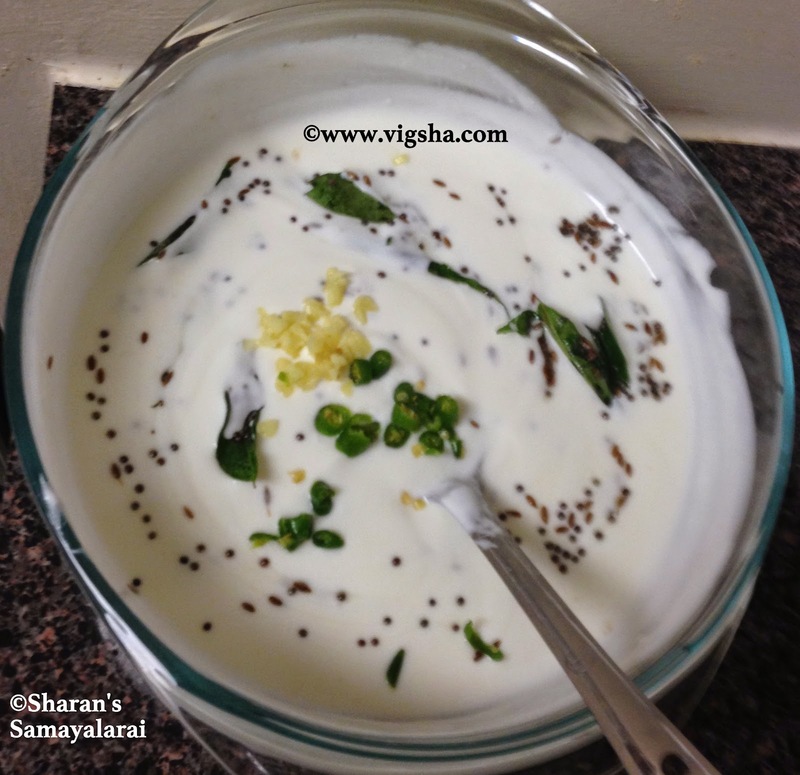 Curd should be chilled for a better taste. (vi) For North-Indian version use sweet chutney, green or mint chutney, coriander leaves, chilli powder and roasted cumin powder. (vii) For kids, top curd with chopped tutty fruity, coriander leaves and manga inji (Mango Ginger) or Raw Mango.